The names of the 16 calypso semi-finalists have been announced. Following the eliminations held over the weekend, the National Carnival Committee announced the 16 calypsonians who will be competing in the semi-finals later this month. With a majority of female calypsonians, Queen Kibie leads the pack with 394 points, followed closely by Brown Sugar with the 391 points and Charis D with 380 points. The others are Genesis, Lil Miss, King Godfrey, Singing Jackie, De Awesome Navigator, Queen Diva, Unexpected, Hollywood, Singing Sharon, Lord Kut, Glenroy Blanchette, Lord Payne and Lady B. 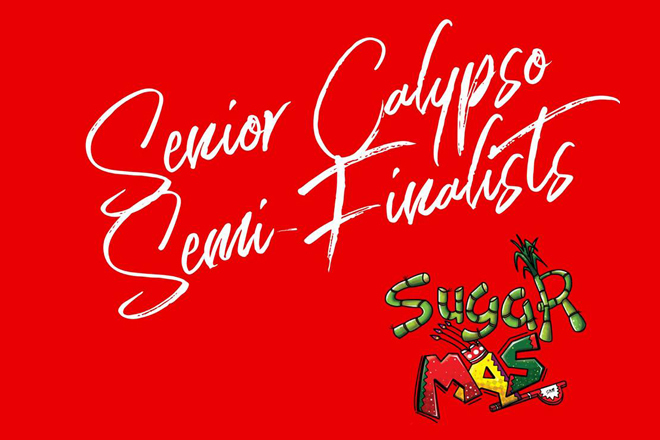 The Senior Calypso Semi-finals will take place on Sunday, December 16 at Carnival Village at 8pm.